Today was a lazy laid back day of reading and blog writing before going for a late evening snorkel with Phyl and Bill. We had made comments about it being the witching hour of shark feeding but undeterred we headed off and had a lovely time. We got back to Suliere and had hot showers and as Lesley hung out the towels she spotted a large nurse shark cruising around the boat. Maybe next time we’ll snorkel a little earlier in the day! 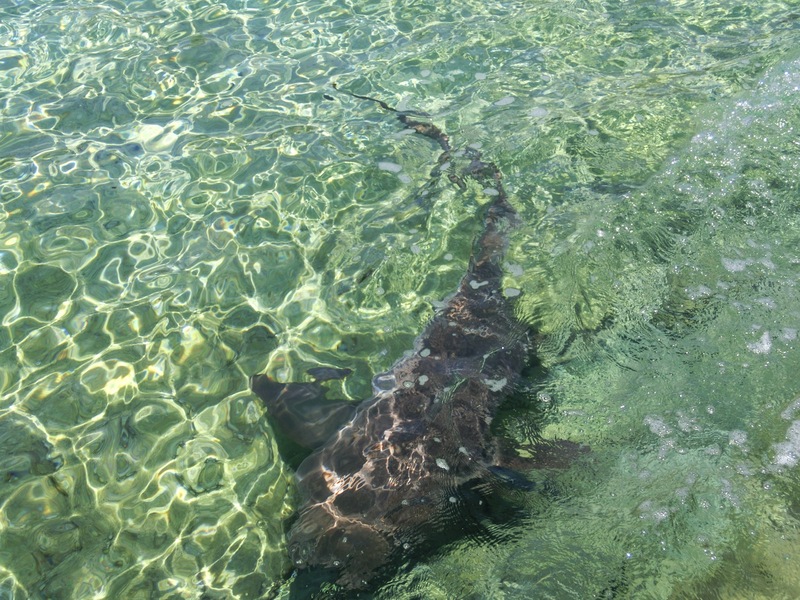 Although one isn’t supposed to fear the benign nature of the nurse shark we have also read in a book called “Dangerous Marine Animals” that nurse sharks are known to sometimes make unprovoked attacks so caution is always the better part of valour we thinks!